During its early years Domino’s launched “Noid” a troll dressed in a rabbit suit onesie. 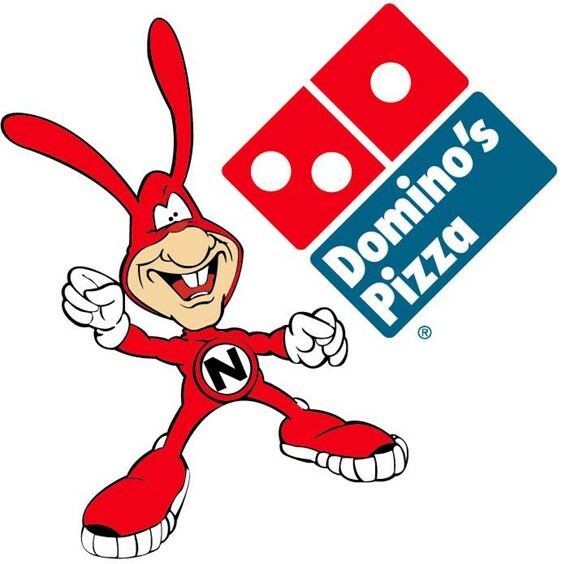 It was a play on the word “annoyed” and the advertising strategy was that the company’s 30 minute delivery promise helped customers “avoid the Noid”. The strategy was, surprisingly, successful, and in the late 80s Domino’s even launched a computer game featuring the popular character. Then in 1989 a schizophrenic man took employees hostage at a Domino’s store, believing that the Noid was targeting him. Newspapers went crazy with the story with headlines such as “Domino’s Hostages Couldn’t Avoid the Noid This Time”. The blow was fatal. Domino’s executives gently put an end to Noid. Read more about Noid’s successes, the brief few moments in 2011 the chain breathed life back into the character, and more over here. ← The End Of The Bomber? Is Domestic Homicide on the Decline?